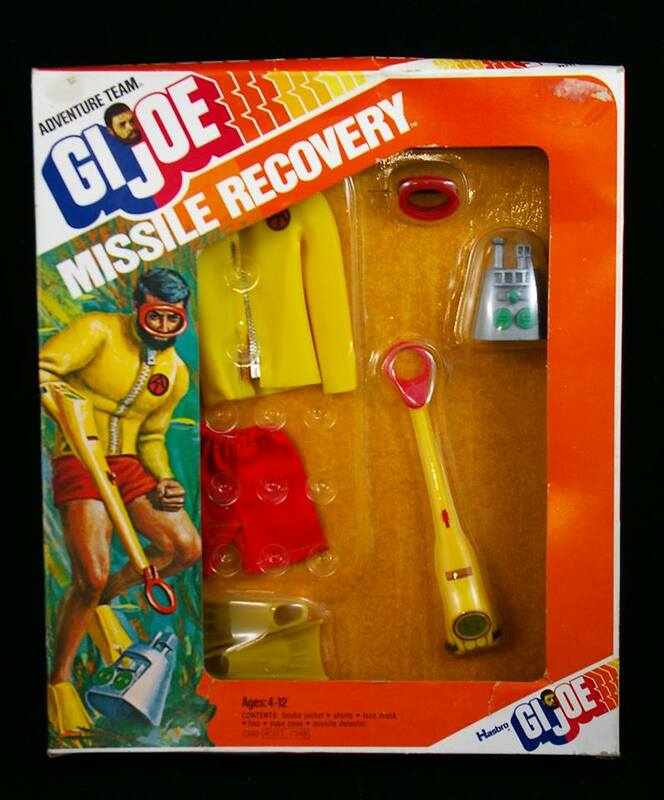 Joe's hand held missile detector helps him find a dangerous nose cone beneath the water in Missile Recovery (7340). No matter Joe has no protection from radiation, or tanks to help him breathe. Note that the top in the set shown above is a reproduction. 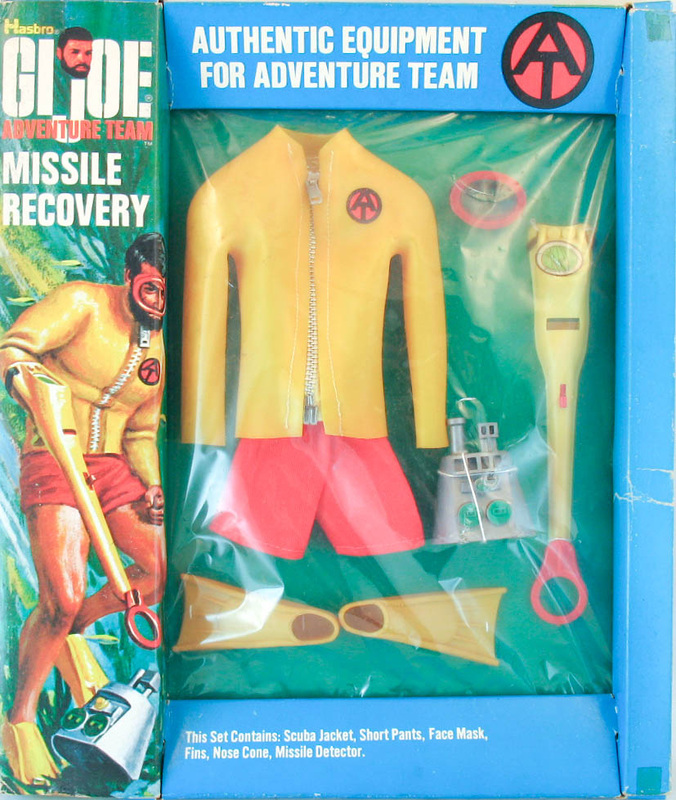 Like all the frogman suits, the yellow top unique to this set tends to rot away, and is very tough to find in nice condition. The set in the window box below is all original.